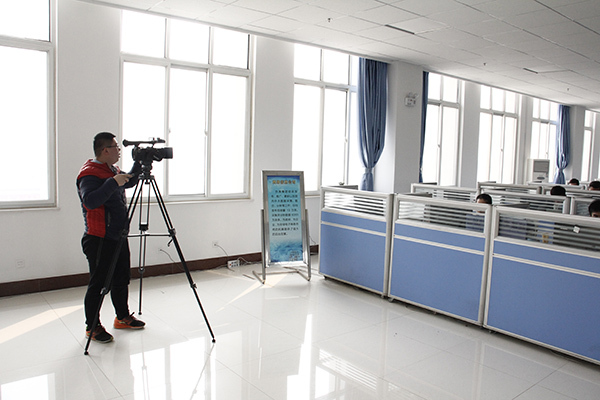 Summary: On the afternoon of March 22nd,Jining Hi-tech Zone TV Station reporter visit China Transport to conduct interviews on the development of the Group's new and old kinetic energy conversions, and took a record on site. 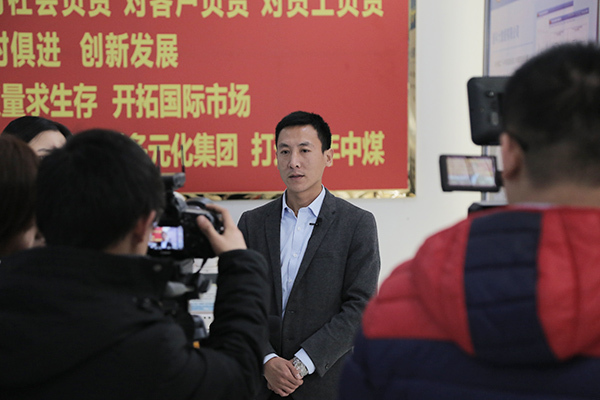 China Transport Party Committee Deputy Secretary And Deputy General Manager Guan Chenghui and Office Director Zhu Xi warmly welcomed the visiting reporters and expressed warm welcome to the arrival of the reporter. 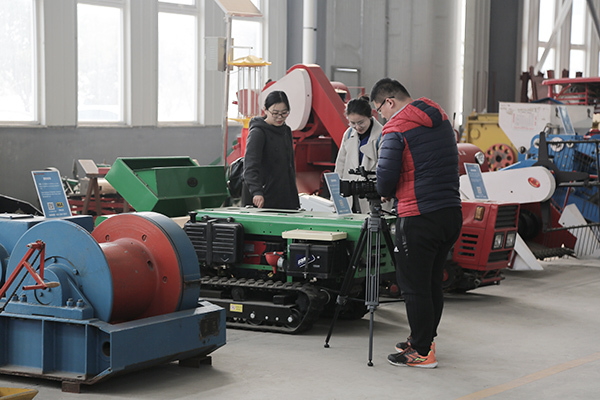 On the afternoon of March 22nd,Jining Hi-tech Zone TV Station reporter visit China Transport to conduct interviews on the development of the Group's new and old kinetic energy conversions, and took a record on site. 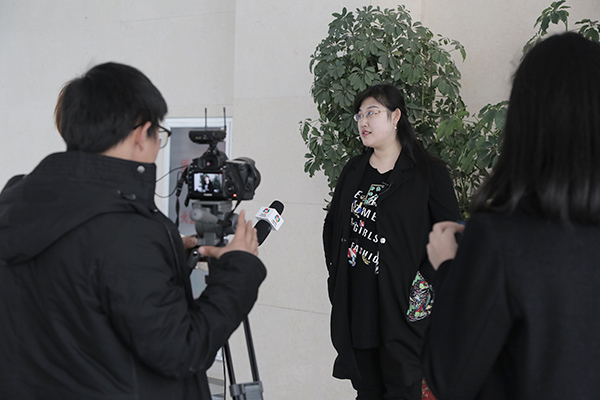 China Transport Party Committee Deputy Secretary And Deputy General Manager Guan Chenghui and Office Director Zhu Xi warmly welcomed the visiting reporters and expressed warm welcome to the arrival of the reporter. TV reporter and his party accompanied by General Manager Guan visited the China Transport Office Building, Group Culture Exhibition Hall, Intelligent Manufacturing Workshop, Intelligent Products Exhibition Hall, E-commerce Company, Cross-border E-Commerce Company, Network Information Company, Software Technology Company, Weixin Agricultural Technology The company, Cate Smart Robotics, and on-site photographing of the visiting department. 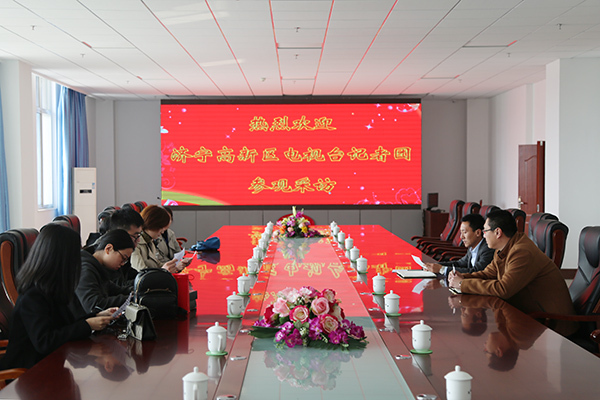 During the visit, Manager Guan made detailed introductions to the visiting leaders on the development of the transition of the old and new kinetic energy of the company through e-commerce. In recent years, Shandong China Transport has actively responded to the country's policy to accelerate the conversion of new and old kinetic energy to major strategic plans, and has fully promoted the transformation and upgrading of traditional enterprises. It has invested in the establishment of the China Transport E-commerce Industrial Park. The park covers an area of more than 60 acres and invests 230 million yuan. Intelligent manufacturing, commodity trading, logistics and distribution, industrial services, exhibitions and exhibitions, business offices, and comprehensive supporting "7-in-one" multi-functional e-commerce industrial park. The park now adheres to the development strategy of “manufacturing industry and internet integration”, vigorously develops the industrial supply chain e-commerce, and successfully transforms from a traditional sales model to a representative e-commerce sales model, becoming an industry that facilitates the successful transformation of traditional enterprises through the e-commerce information industry throughout the country. The model has been listed as an e-commerce innovation model enterprise of the Ministry of Industry and Information Technology, the Ministry of Commerce of the People's Republic of China, a key project of Shandong Province's deep integration of special action plan, and an informatization demonstration project of Jining City. 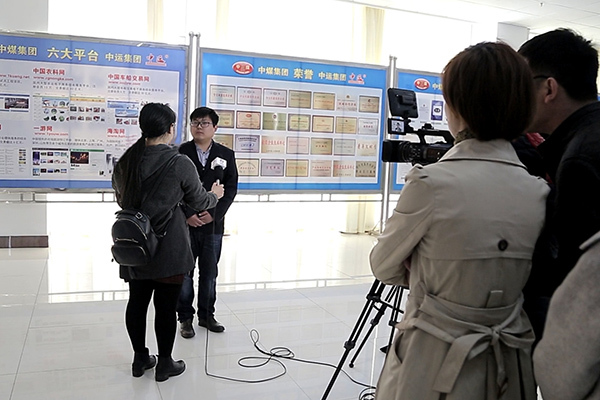 In the Group Culture Exhibition Hall, the reporter also conducted an exclusive interview with China Transport Cross-Border E-Commerce Company Deputy General Manager Zhang Wen, China Transport Technology Company Manager Zhang Ronghui. In recent years, China Transport has actively responded to the policy of foreign exchange earning through exports, vigorously expanded overseas markets, and developed cross-border e-commerce trade. It has registered “China Coal” trademarks in 37 countries and regions, and has obtained the trademark use rights of China Coal in EU 28 countries and the United Kingdom, Taiwan, Macau, Singapore. Powerful development of the international market has promoted the rapid development of our cross-border e-commerce. At present, the high quality products of China Transport are sold in 151 countries and regions in the world, with 480,000 customers worldwide. They are rated as cross-border e-commerce integration innovation model enterprises and Shandong province cross-border e-commerce key enterprises. While actively expanding its overseas business, the Group also vigorously developed the construction of a cross-border e-commerce B2B platform. It has independently developed and operated a hundred million mine network, China's logistics Internet of things, China Agricultural Science Network, China's vehicle and ship trading network, a tour network, and the sea. 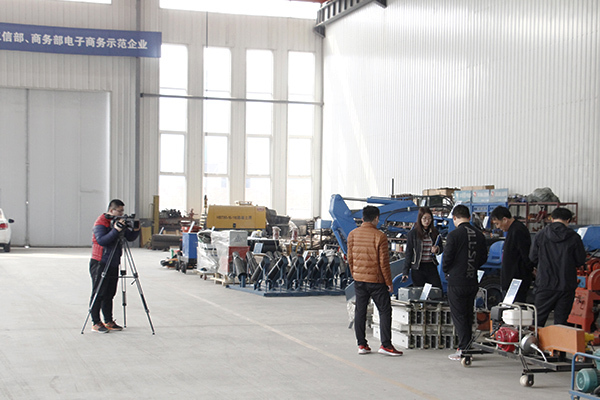 Amoy.com's six cross-border e-commerce platforms, including Yimin.com, as the first cross-border B2B e-commerce platform in the industry and mining machinery manufacturing industry in China, fills gaps in the domestic and international e-commerce platforms for the machinery industry and is listed as a cross-border e-commerce by the Ministry of Industry and Information Technology. The key support projects and the key e-commerce platform in Shandong Province have made outstanding contributions to the industrial transformation and upgrading of the industrial and mining machinery industry in the country, which has greatly stimulated the take-off of cross-border e-commerce in the global mining machinery industry!